Mars in Sagittarius and Neptune in Pisces form a square, the exact aspect happens on February 17, but its effects reach out throughout the month: some actions are wrong, and irrational; events with full of lies, betrayal, alcohol, drugs, adultery, corruption, intrigue, frauds, and secrets that will cause a big stir. It is a mixture between true and lie, see what is happened lately all over the world with fake news. Fanatic actions linked with system of beliefs. Also, some destructions linked with fluids (gas, steam, oil, water, and other liquids), chemicals, and plastics, water pollution, maritime accidents, and more deaths through drowning. On February 18th, the SUN ingress in PISCES: Happy Birthday for all natives! Unpredictable events should occur this month because of Sun, Mercury and Venus are transiting Aquarius and Partial Solar Eclipse also in Aquarius – sign that can behave unexpectedly – and because in the middle of the month there’s a solar eclipse in Aquarius. RETROGRADE PLANET: no planet is retrograde this month. NEW MOON in AQUARIUS on February 15, on 16:05 and The Partial Solar Eclipse: The Partial Solar Eclipse of February 15 is part of the Saros 150 family of eclipses, one that has a high degree of creativity, characterized by promoting new ideas supported through optimism and enthusiasm, that can lead to positive changes if well-coordinated. The solar eclipse has to do with information, communication, and travel. It can be favourable to events that trigger strong, passionate reactions related to family, home, properties, roots, traditions, homeland, national identity. Regions seeing, at least, a partial eclipse: South in South America, Pacific, Atlantic, Antarctica. This Aquarius New Moon presents a great opportunity to transform your thinking and renew your visionary powers. You can gain clarity about where you want to go and what blocks you from getting there. A solar eclipse, especially when connected with the South Node, requires you to let go of something to make space for the new. And the New Moon’s square to Jupiter in Scorpio amplifies its transformational potential and new solutions become available. The Aquarius New Moon also marks the Chinese New Year, initiating the year of the Earth Dog. This next year favors new business ventures and major lifestyle changes, and rewards loyalty, generosity, and selflessness. MERCURY IN AQUARIUS between 1 and 18 February: The Aquarius’ scientific nature meets Mercury’s intellect, thus attracting scientific curiosity. Friendship relationships take precedence over any other type of relationship. You can use your artistic talents to achieve something concrete. MERCURY IN PISCES between 18 February and 6 March: Intuition and imagination are highly favoured. You can adapt to the thoughts of others. You may have difficulty distinguishing between reality and fantasy. Write down the ideas and dreams that you consider relevant. VENUS in AQUARIUS until 11 February: You enjoy unconventional and odd relationships, which give you the freedom to express your individuality. You enjoy talking and being with your friends. VENUS in PISCES between 11 February and 7 March: You want a unifying relationship with your life partner and artistic or spiritual activities are favoured. Ideally, do these activities with your partner. MARS in SAGITTARIUS until 17 March: You are an inspirational leader, and have a strong desire for exploration and adventure. Go for it! SATURN is already in CAPRICORN, until March 21st, 2020: Saturn is dignified and functioning well. This is a time for turning a critical eye to those of Your career choices that don’t accurately reflect Your authentic selves. Capricorn and Saturn want respect and Saturn in Capricorn will work hard to earn it. Conservation is a big theme now. Taking the easy road is not favoured during this transit. Rewards come from putting in the effort. You might also be striving for more authority in an area of your lives now. Saturn demands simplicity, definition, realism, and truth and it tests your weak areas that need strengthening. ASCENDANT OR SUN IN ARIES: Socializing developed harmony in the couple, and attending events that gather a lot of people together can be favorable for the beginning of a relationship, if that’s what you want (if you are single). After February 11 you have strong feelings, but that it won’t necessarily make you happy. A discreet love is a possibility. In your profession your ambition is great but also and luck is on your side. In the first 20 days of the month you have support, protection, and popularity, especially in group projects where you have common interests and goals. Because you have this month an extra energy you should burn in activities related to studies, culture, travel, strangers, or working long-distance. In the last 10 days of the month you should take more care of yourself, avoid fatigue and excess of alcohol, tobacco, medicines or drugs. 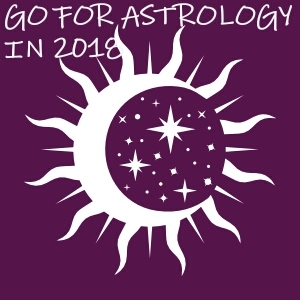 ASCENDANT OR SUN IN TAURUS: The first 10 days of February brings achievements and success in your profession because you are ambition, knowing what you want and negotiation skills. You can make money due to travels, team work, clients, and alliances but be aware how you invest this money. Do not rush in your investments, think twice! Also, be aware of your health due to infections and intoxications. ASCENDANT OR SUN IN GEMINI: You are busy with your loved one – in common projects. Collaborations, associations, and team work are very important but with competition. The last decan of February 2018 is the most favorable for success. Money comes easy, but think twice what how you are using them. Be creative and apply your ideas in practice! ASCENDANT OR SUN IN CANCER: Maybe you feel to much responsibilities in your personal and business environment. Did you know your lately emotional needs? Try to find out this month. In your work you are hard working but also you come with new ideas and actions. Be efficient! If you want to make changes in your career, now would be a good time. Also, you might receive a bonus, a gift or some other material present, but you should be careful when dealing with banks and other financial institutions, especially if you have some debts. This month there are some risks for acute infections or inflammation, injuries, and accidents. Instead it is a good period for medical check-up, dental work or any other surgery. ASCENDANT OR SUN IN VIRGO: In the second part of the month during a trip, a meeting or a conversation you will have good news about love. The Partial Solar Eclipse from the middle of the month helps you in starting a new project, change jobs, work ambiance and methods. Anyway, in the end of this month something will be changed in your career. This month you might decide to follow a treatment or a diet or to make some lifestyle changes. ASCENDANT OR SUN IN LIBRA: This month you can expect unexpected events when it comes to love, maybe during a travel or an information exchange. Your creativity and talents are very active. Be aware of your impatience and irritability, these push you to take rash decisions, to go directly in conflicts or to have accidents. ASCENDANT OR SUN IN SCORPIO: Love, creativity and relationship with your own children are the most important topic this year. When is about common money& asset in your family should be treated with diplomacy and understanding. When is about your ability to earn more money, it is a good move to make your work more profitable, invest or make strategic purchases. Avoid speculations! The Partial Solar Eclipse in the middle of this month can bring a renewal or unexpected event related to home, properties or long-term-use goods. Be aware of any excess (food, drink or other kind of unhealthy habits)! ASCENDANT OR SUN IN SAGITTARIUS: You have a lot of physical energy, desire, sexuality, and passion. Due to Partial Solar Eclipse, unexpected events may occur, probably in relation to travel, a phone conversation or email or SMS. You are very ambitious, efficient and able to make important decisions. Be aware how you spend your money! Go to the gym, run, hike, dance, make love, move your body to use Mars’s energy, otherwise you may have migraines, infections, inflammation, hemorrhages, muscular issues. ASCENDANT OR SUN IN CAPRICORN: You are very practical in your love life but in the second part of the month you will become more romantic. Go out, have more fun, exchange information and you have change to find a new love, if you are single. You will work hard to increase your income, use your inspiration and adaptability. ASCENDANT OR SUN IN AQUARIUS: You feel in the heaven of love and passion! Also, this month you have opportunity to show your organizing and administrative skills. You value beautiful possessions, and are comfortable with money. You are bountiful and possess the ability to see beauty in things. You have an urge to make many friends, and may take the role of leader in groups. You may wish to impose your will on associates. ASCENDANT OR SUN IN PISCES: When Venus is in Pisces you feel better, and you are favoured in journeys, long-distance collaboration, internet, but also studies, culture and spirituality. You should make professional progress and be successful when it comes to money too. Groups, community, associations, foundations and parties helps you to go forward with your plans. Take more care of your health and avoid any kind of excesses. Be creative and use your intuition!